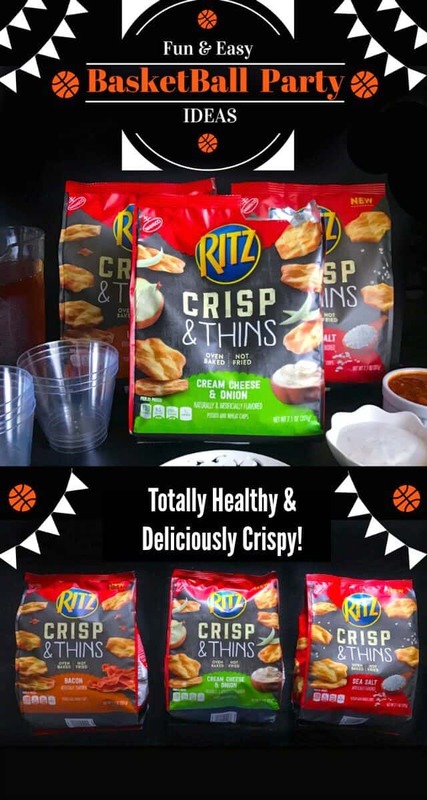 Fun and Easy Basketball Party Ideas: Throw an awesome – stressfree basketball party in no time with these fun and easy ideas along with RITZ Crisp & Thins. Also, earn $.50 cash back when you shop with the Ibotta app. Totaly Healthy and deliciously crispy! Hey Everyone, Hope you’re doing good and Who’s excited for all the fun games that are gonna start this month!!! I know we are along with all our friends and there’s tons of party planning too. 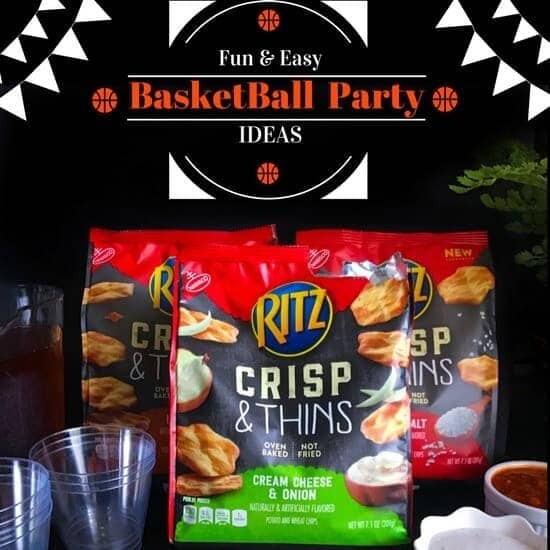 Hence, I wanted to share these ‘Fun and Easy Basketball Party Ideas’ with you along with an offer –> Earn $.50 cash back when you shop with the Ibotta app. Healthy and deliciously crispy main attraction of any of these parties are the food and drinks and I’m always trying to find new ways to make it healthier and easier (right, isn’t that what all of us want!). 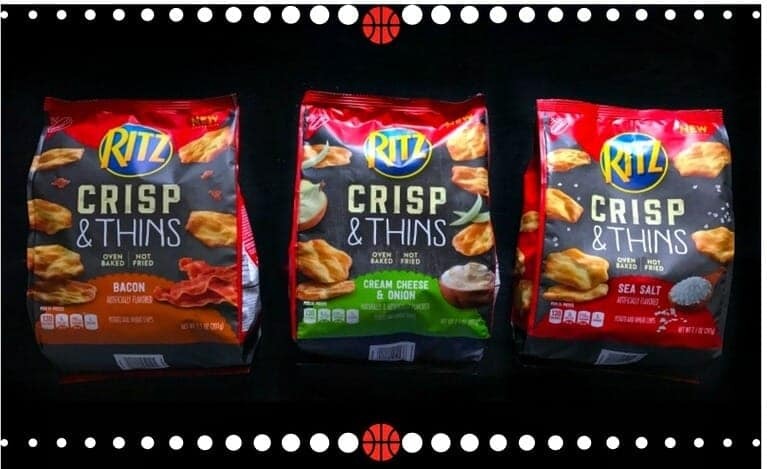 So while looking for quick snacks, I came across this new products – ” RITZ Crisp & Thins ” which is launched just in time for enjoying a healthy snack option while watching the basketball games. 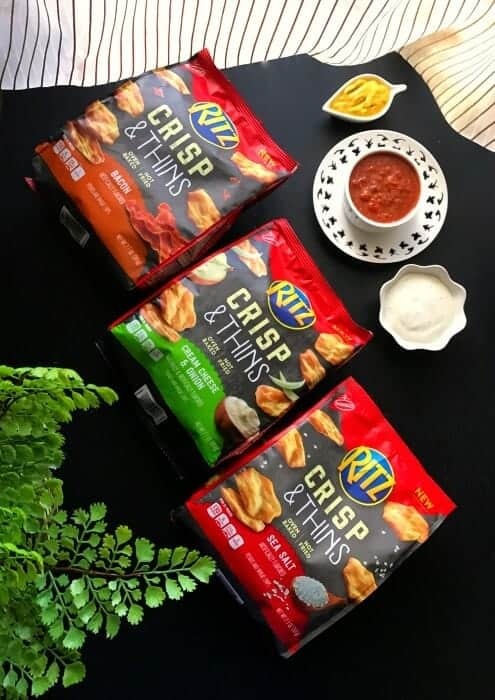 I’m so excited to find them as they are not only ‘Oven Baked – Not Fried’ but also come in four flavors: Bacon, Sea Salt, Cream Cheese, Salt & Vinegar. 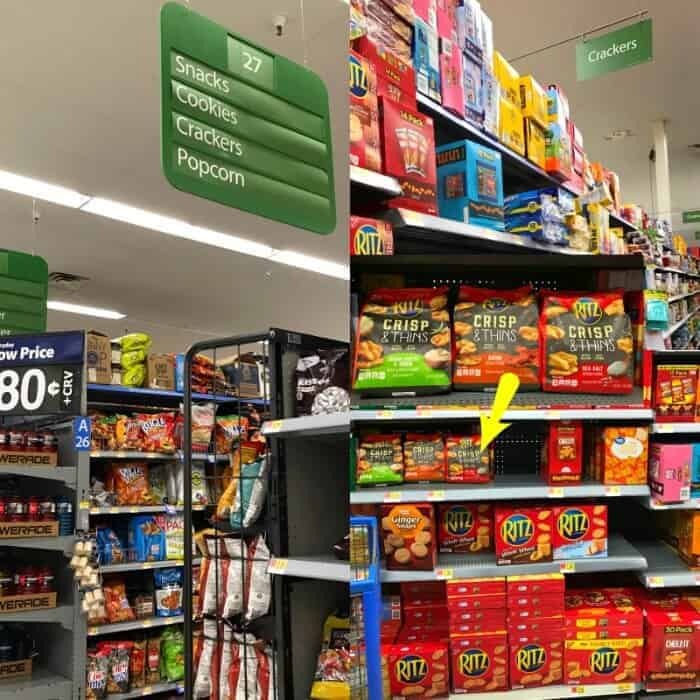 I was able to get the 3 flavors except (Salt & Vinegar) as there was only 1 packet and a lady already took that….so you can imagine, they are already a HIT snack with people. With all the party food now at home, I’m all set to prep everything before this weeks party and I’m sure you’ll are already stocked on extra cutlery’s, napkins and the basic table linens. They’re a MUST! Since there will be many parties back to back, I always suggest stocking up on healthy ready to eat snacks like this oven-baked RITZ Crisp & Thins. 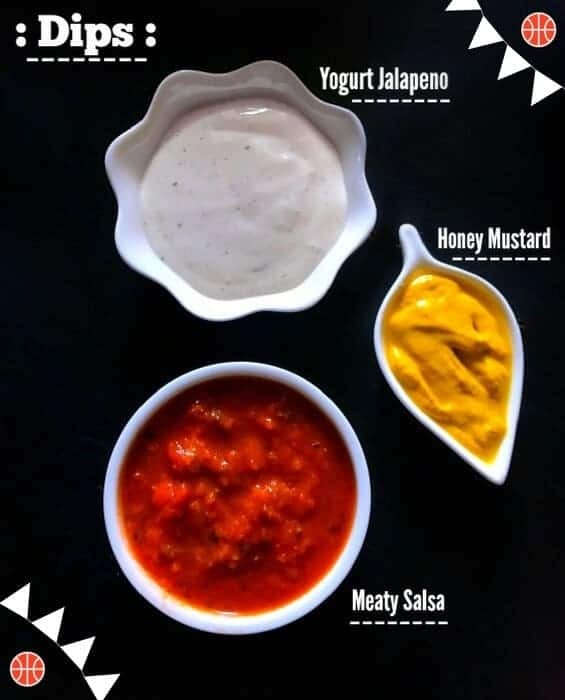 They are easy to store or carry and can be paired with any dips or other food. Definitely a hot favorite in every party and can be made in advance. I usually make them a day or two in advance and pack them in small mason jars which are easier to store in the fridge and can be taken to another party too. They make an amazing game party gift too. After the food is decided they are the second most important component to hosting an awesome party. Always be well stocked with lots of water, different flavored drinks/sodas or make lemonade syrups a day or two earlier. Then on the game day, simply add water, ice to the syrup and your drinks are ready. Always keep them in big jugs or water dispenser instead of glasses as you don’t want them splattered on the table. This is another one of my favorite party idea as they are loved by everyone and easier to move around (this one is especially very helpful with young kids). Pack them in individual glasses or bowl, add a fork/spoon and even tie a napkin with it. That way, you have lesser things to place on the table. Also, in most of these parties, we munch on so many snacks that after a while you want something really light and fresh, hence I always keep a fruit cocktail/salad as an option for dessert. This one is seriously missed by so many people and is one big help especially when you start cleaning the place. I always keep some kind of fruity fresheners at home during parties cause as the room is packed with people along with tons of food+drinks, the place is bound to start smelling after a while. Hence, if you do have some kind of fresheners, it helps big time. For such parties, I even take those scented trash bags as I don’t want all that smell lingering the house or kitchen. 4 Replies to "Fun and Easy Basketball Party Ideas"
Nice touch Molly with the scented trash bags!! !